Here is the logic brain teaser for the genius mind which will make you think hard. This brain teaser contains logical equation which contains a logical pattern. Find this pattern and calculate the value of the missing number? Can you find the missing number in this math logic brain teaser? 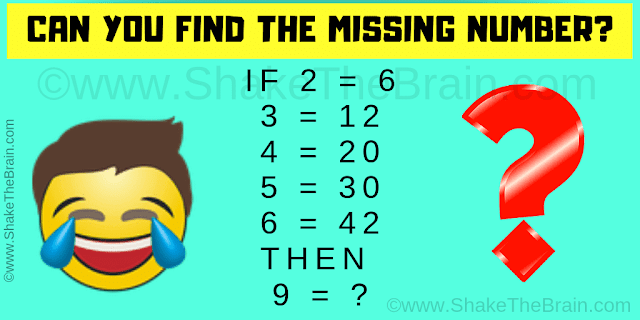 Answer of this math Logic Brain Teaser for Genius minds can be viewed by clicking on the button. Please do give your best try before looking at the answer.